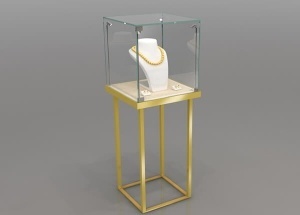 This jewelry pedestal showcase are golden stainless steel frame and toughened glass top. 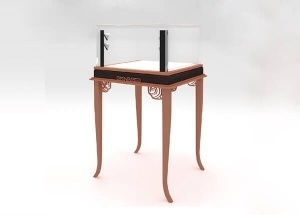 we can custom the pedestal case fit your project. The shoe display units are from shoes and bags store project. The shop displays main material are wooden(MDF), LED lights, etc. 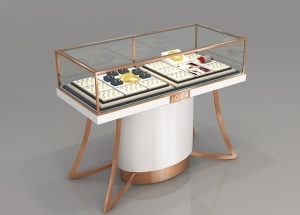 This glass display cabinet has a storage cabinet, and used in watch shop, jewelry kiosk at mall. It'is made by wooden(MDF), glass, LED lights, etc. 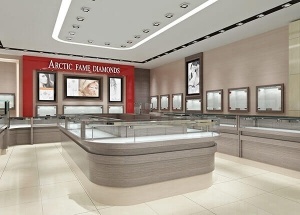 The jewellery shop design are elegant style for cameo jewelry. We supply all in one service: measurement shop size, 3d shop design, production jewellery showcases, shipping, installation service, after service. 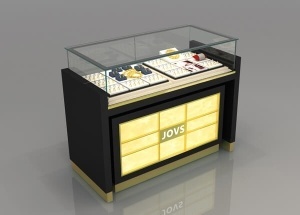 The jewellery showroom interior design 3d drawing, we supply all in one service: measurement shop size, 3d shop design, production jewellery showcases, shipping, installation service, after service. 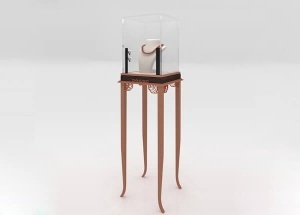 This jewelry display furniture is made by wooden(MDF), glass, LED lights, etc. It can be used for retail shop window display. 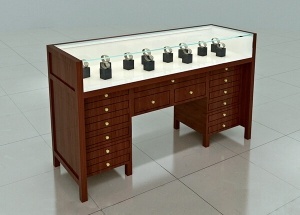 This jewellery display units is made by wooden(MDF), glass, LED lights, etc. It can be used for retail shop window display.